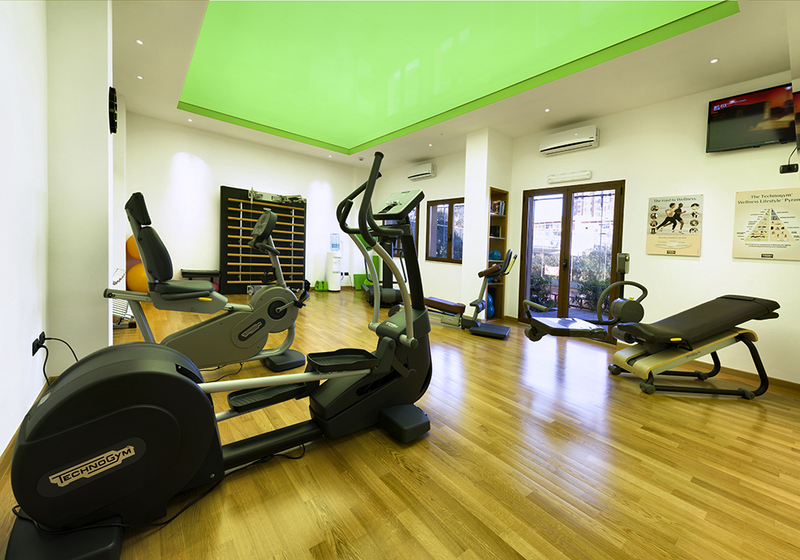 Those who wish to spend a holiday in Cagliari, relaxing without sacrificing your physical fitness, can choose to stay at the Hotel Residence Ulivi e Palme, where you can use the indoor swimming pool, a fully equipped outdoor fitness facility, a Wellness Space powered by Technogym®, bike rentals, a dance room, and two tennis courts. The 22 meter long, covered and heated swimming pool has four lanes. 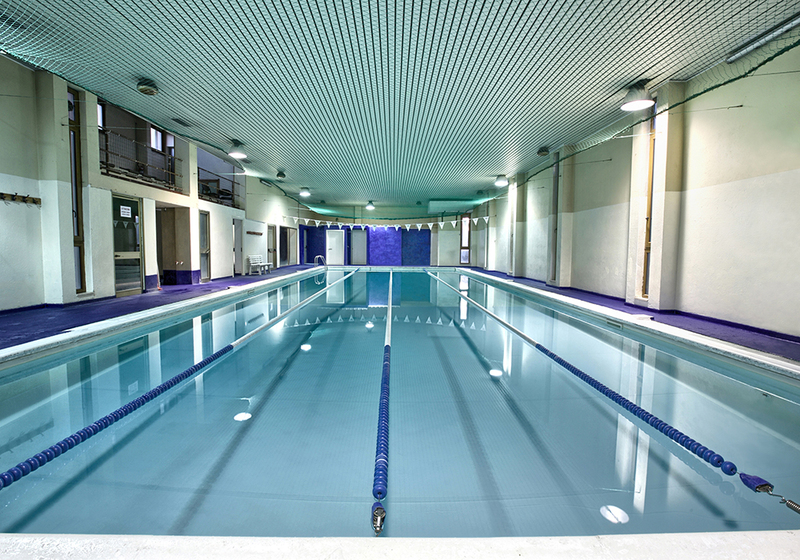 Hotel guests have free access to the pool during the hours provided by the sports association that manages it. Closed Sundays. 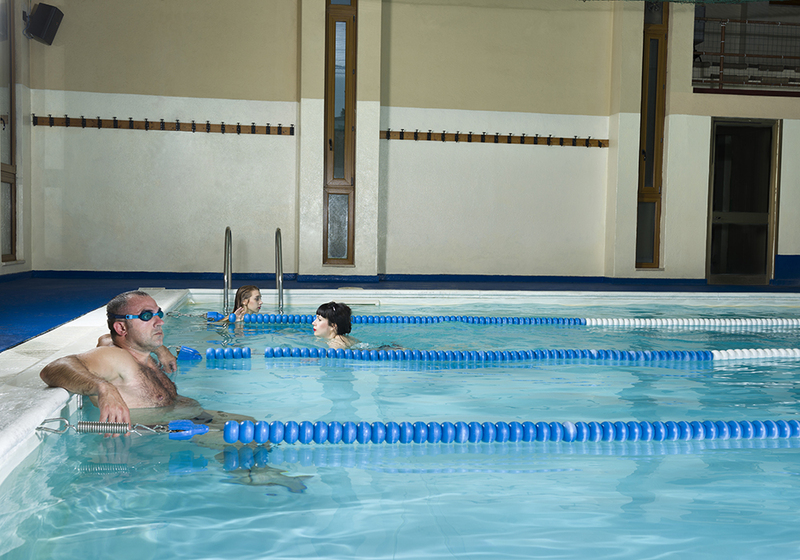 For information on the use of the swimming pool: Ulivi e Palme Sport A.S.D. – tel. +39 070 41265, Monday through Saturday. 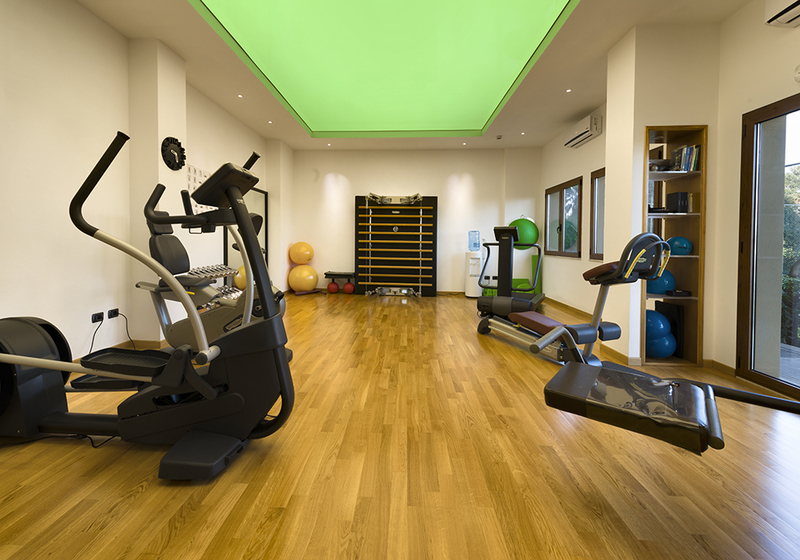 Recently, our hotel was equipped with a modern Wellness Space powered by Technogym®, which is run by an experienced personal trainer, where you can stay in shape both through individual lessons and also through the assisted use of modern Technogym® machines that have been installed in the gym. 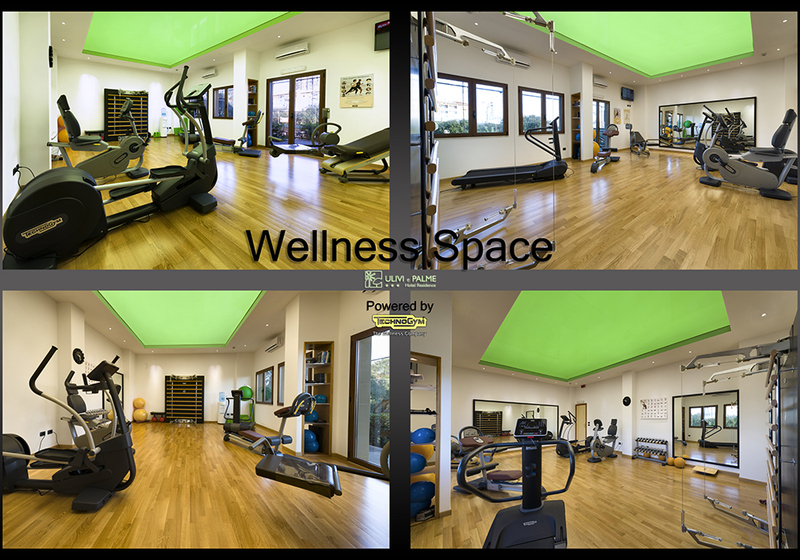 The Wellness Center, also open to external clients, offers the presence of a personal trainer, as well and should be booked in advance. 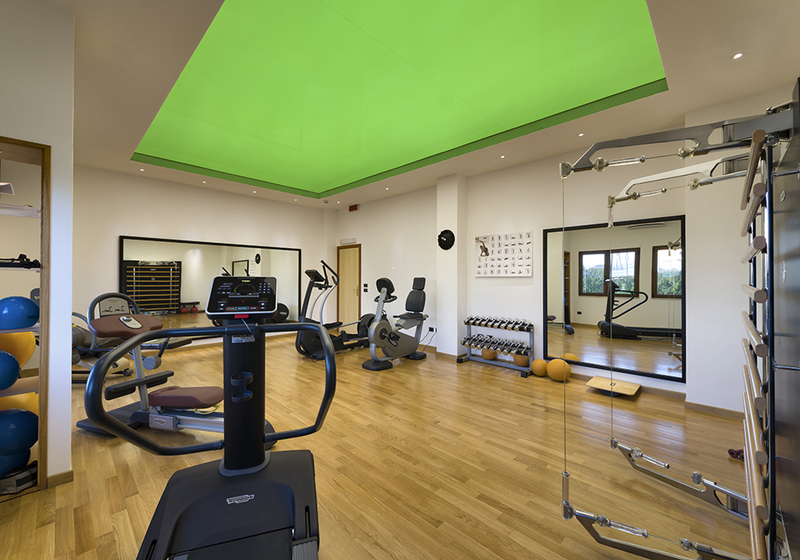 Information and rates reserved for our clients are available at the hotel reception desk or by contacting the Wellness room trainer or manager. 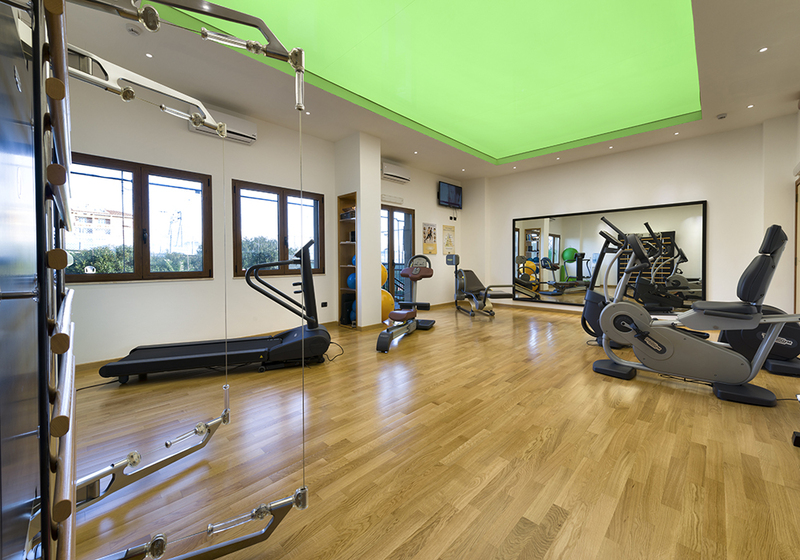 Moreover, the sports association, “Insieme per la Danza” is located in the service wing on the third floor of the hotel that, in addition to managing dance courses and Pilates sessions, organizes a recreational summer camp for children every summer. 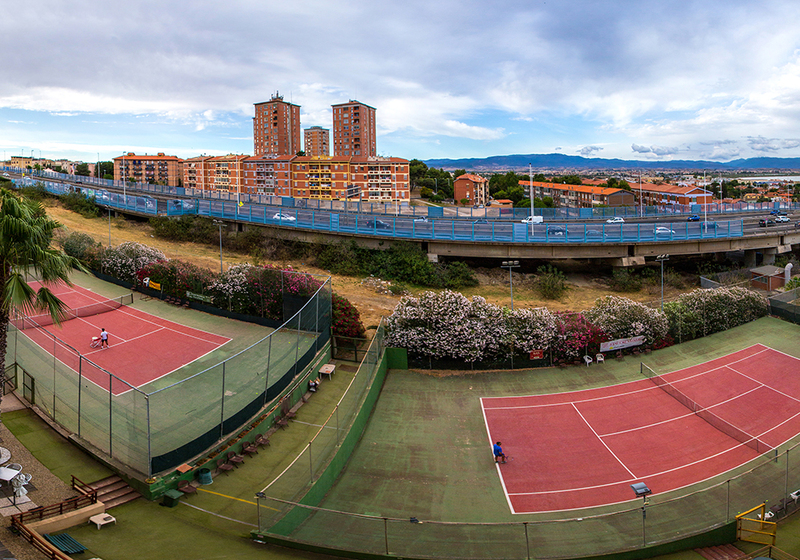 The Tennis Club is managed by the ASD TC Ulivi e Palme, which has a long experience in the tennis staff, and offers individual lessons with instructor. 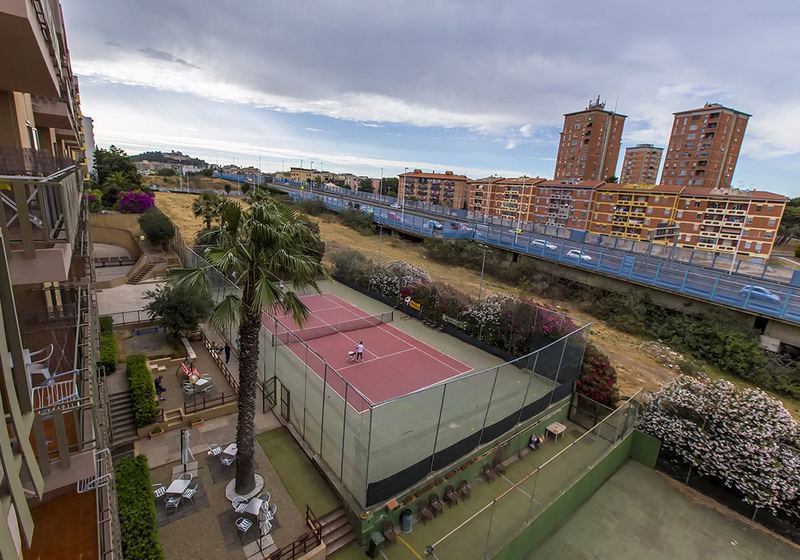 The Tennis Club has two tennis courts, changing rooms, and a relaxation area, adjacent to the pitch, with chairs and tables where you can relax watching the players or attend matches during regularly organized tournaments. 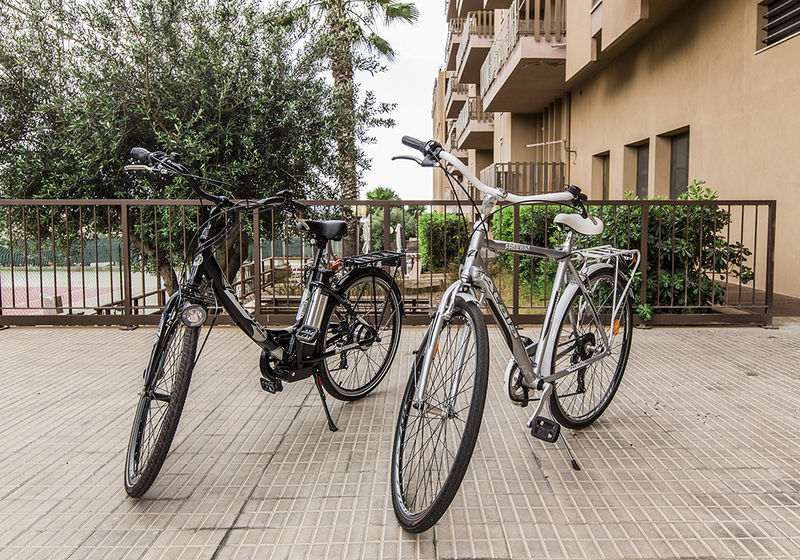 For those who love cycling, city bikes, as well as a modern assisted pedal bike, are available for rental, allowing sports enthusiasts to visit the city or the nearby Poetto beach with a safe and healthy alternative. For information and use, contact e hotel reception: 070-485861.